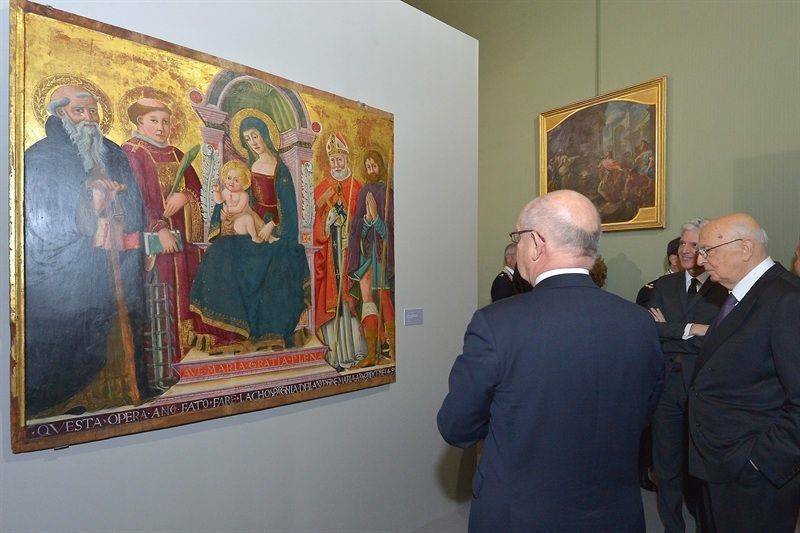 On view through March 16 in the stately halls of the Quirinal Palace in Rome is a stunning exhibition of 110 archaeological treasures, paintings and religious objects, retrieved by the crack Carabinieri art squad over the past three years. 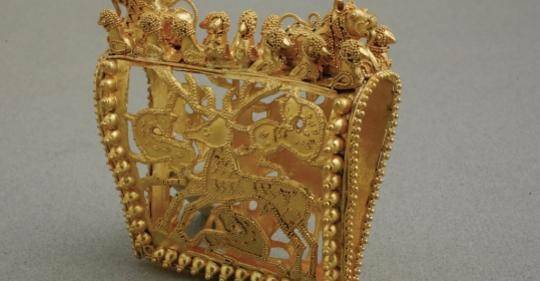 The stolen items range from a 6th C. BC warrior's helmet to red- and black-figured Attic vases, a huge gilded cross taken from a church, a pile of rare ancient coins, and l8th Century paintings of Roman ruins. Says General Mariano Mossa: "The illicit trade in art works is now fourth after the clandestine dealing in arms, drugs and financial products. It often involves international organized crime and money laundering. And now they are using the Internet to sell abroad." ROME - He wasn't giving away any secrets about how they did it, but General Mariano Mossa, who heads the world-renowned, 350-strong art retrieval squad of the Carabinieri corps, was proud as can be on Tuesday, when he presented to the press the exhibition "La Memoria ritrovata" (Memory Recovered). 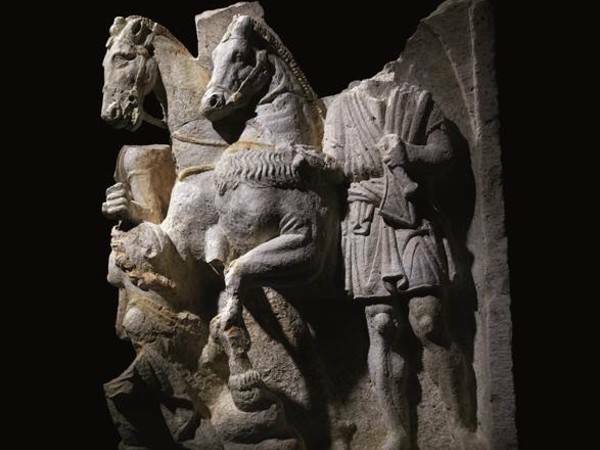 On view through March 16 in the stately halls of the Quirinal Palace in Rome is a stunning exhibition of 110 archaeological treasures, religious objects and paintings retrieved by the Carabinieri during the past three years. The stolen items range from a 6th C. BC warrior's helmet to red- and black-figured Attic vases, a huge gilded cross taken from a church, a pile of rare ancient coins, and l8th Century paintings of Roman ruins, including a splendid oil on canvas of the Roman Pantheon by Paolo Panini. A magnificent red-figured Attic vase was stolen from the Naples Archaeological Museum. "Money makes our heritage come under continual attack," said General Mossa. "The illicit trade in art works is an all-too common crime, fourth down the line after the clandestine dealing in arms, drugs and financial products. Often we find ourselves dealing with international organized crime and money laundering. And now they are using the Internet to sell abroad." For this reason a crucial part of their job is maintaining on line an up-to-date compendium of 5.7 million stolen objects and 560,000 images. The Carabinieri work is complex in other ways. It involves hunting down forgeries of all kinds, patrolling (including by helicopter and infrared lights) archaeological sites and monitoring web sites for suspect items offered for sale. Investigators travel worldwide to trace items. They also make their own restitutions, such as the rare, large fossil of a fish, one hundred million years old, found in Italy in the hands of a private collector and returned to Lebanon. And they have been successfully showing Italian bishops and parish priests how best to protect the objects in their care. As a result of this, the Italian Bishops Conference (CEI) are now creating their own data bank. According to Curator Louis Godart, the twenty-three funerary vases on view, which originally occupied an entire underground mausoleum near Perugia, "represent the most extraordinary single Etruscan archaeological find of the past thirty years." The stone vases contained the cinders of deceased members of the princely Cacni family, and date from the fourth to the first centuries BC. Hellenistic, they reflect the tradition of Greek mythology: one depicts the sacrifice of Iphigenia and another, the chariot race between Pelops and Oenomaus. Together with 3,000 other objects in the mausoleum, they had been dug up, and then hidden, by a contractor during an illegal excavation for the foundations for a new building, and some show missing bits as a result of the rough machine digging. "A lot had been destroyed," said Professor Godart. "This is the first time an entire funerary complex has ever been found." " Historically the themes and style of the urns demonstrate the colonization of the Etruscan territory along the Tiber valley and into today's Umbria. 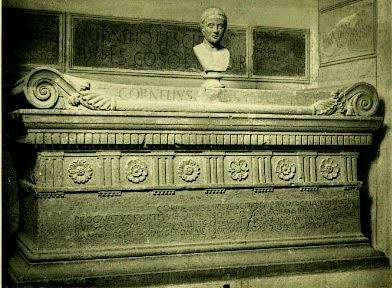 Initially only a single photo and a chunk of marble head from the mausoleum were noted in Rome, in the possession of a seller. Investigators had no idea of the source so, to know more, the Carabinieri consulted an archeologist from Tor Vergata Rome University, who suggested, correctly, the territory around Perugia. From damage done to some of the urns, it was apparent that the finders were not professional tomb robbers. 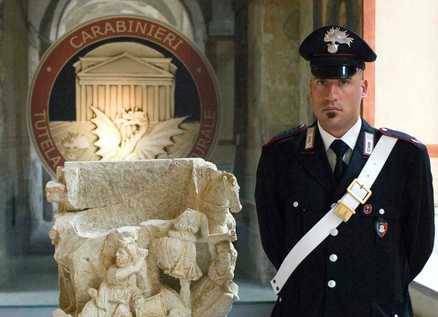 Finally the Carabinieri traced the objects to a building contractor near Perugia. Another treasure on view in the Quirinal Palace, the so-called Andromeda Vase, was recovered in 2010 by a Japanese dealer in the Geneva free port in Switzerland. Asked what are the current trade routes for the export of clandestine objects, General Mossa said curtly, "Toward the money." It is known, however, that some clandestine routes go via the Balkans toward East Europe. The Swiss free ports remain a frequent destination and, most recently, Arab nations aiming to create new museums from scratch so as to attract tourism. Archaeological artifacts are popular in the clandestine market because their provenance, or commercial history, is relatively easy to invent. Stolen paintings remain popular as hostages in drug dealings because major bank transfers today draw too much attention. Entry to the exhibition is free of charge from Tuesday to Saturday, and costs E5 on Sundays, save for Jan. 26, when the exhibition will be closed. Quirinal Palace spokesman are proud that during the tenure of President Giorgio Napolitano over one million have visited the building, and among these, half a million in order to tour exhibitions. Just last year over 119,000 visited the magnificent palace that is home to the head of state.